With the findings from the latest local and international research cited in our previous post, it is without a doubt that there would be a direct intervention that could bridge and ultimately correct the molecular genetic brain protein aberrations and eliminate neuronal misfiring. Current methods available however continue to border on the traditional drug therapies, behavioral therapies, and recently, an upsurge for use of adjunct and alternative therapies. Just like any treatment however, we STRONGLY recommend to check with your physician or medical professional before embarking on any therapy or regimen. In spite of efficacy studies on these treatments, results may vary from person to person. Adjunct therapies for neurodevelopmental disorders range from lifestyle changes to alternative therapies and diet manipulation. According to the Autism Centre in the UK, published information in 2009 suggests that a Magnesium deficiency in the electroyte serum, resulting from a magnesium deficient diet, or a diet high in sugar, salt, and saturated fats, can have an effect on neural efficiency- neuronal homeostasis-, leading to conditions on the Autism Spectrum Disorder. In view of this apparent relationship there is justification to consider supplementing the diet of newly pregnant mothers and those contemplating pregnancy with easily digestible magnesium compounds where deficient. It is in the same relationship that folic acid supplementation is proven to be efficient in reducing neural tube defects. Other Adjunct Therapies, also called Complimentary and Alternative Therapies by the University of Maryland Medical Center, recommend Diets, Vitamins and Minerals, and even Herbs have been seen to alleviate Attention-Deficit Hyperactivity in children alongside the traditional Drug Therapies. The Medical Center discusses in detail the different dietary options people with neurodevelopmental disorders may try, including the Feingold diet. The Feingold diet was developed in the 1970s by Benjamin Feingold. He believed that artificial colors, flavors, and preservatives, as well as naturally-occurring salicylates (chemicals similar to aspirin that are found in many fruits and vegetables), were a major cause of hyperactive behavior and learning disabilities in children. Studies examining the diet’s effect have been mixed. Most show no benefit, although there is some evidence that salicylates may play a role in hyperactivity in a small number of children. Other dietary therapies may concentrate on eating foods that are high in protein and complex carbohydrates, and eliminating sugar and artificial sweeteners from the diet. One study found increased hyperactivity among children after eating foods with artificial food coloring and additives. However, there are no conclusive studies show no relation between sugar and ADHD as there were results that children whose diets were high in sugar or artificial sweeteners behaved no differently than children whose diets were free of these substances. This was true even among children whose parents described them as having a sensitivity to sugar. However, there are some researchers believe that chronic excessive sugar intake leads to alterations in brain signaling, which would contribute to the symptoms associated with ADHD. Magnesium (200 mg per day) — Symptoms of magnesium deficiency include irritability, decreased attention span, and mental confusion. Some experts believe that children with ADHD may be showing the effects of mild magnesium deficiency. In one preliminary study of 75 magnesium-deficient children with ADHD, those who received magnesium supplements showed an improvement in behavior compared to those who did not receive the supplements. Too much magnesium can be dangerous and magnesium can interfere with certain medications, including antibiotics and blood pressure medications. Vitamin B6 — Adequate levels of vitamin B6 are needed for the body to make and use brain chemicals, including serotonin, dopamine, and norepinephrine, the chemicals affected in children with ADHD. One preliminary study found that B6 pyridoxine was slightly more effective than Ritalin in improving behavior among hyperactive children. However, the study used a high dose of B6, which could cause nerve damage (although none occurred in the study). Other studies have shown that B6 has no effect on behavior. Zinc (35 mg per day) — Zinc regulates the activity of brain chemicals, fatty acids, and melatonin, all of which are related to behavior. Several studies show that zinc may help improve behavior, slightly. Essential fatty acids — Fatty acids, such as those found in fish and fish oil (omega-3 fatty acids) and evening primrose oil (omega-6 fatty acids), are “good fats” that play a key role in normal brain function. The results of studies are mixed, but research continues. Omega-3 fatty acids are also good for heart health in adults, but high doses may increase the risk of bleeding. L-carnitine — L-carnitine is formed from an amino acid and helps cells in the body produce energy. 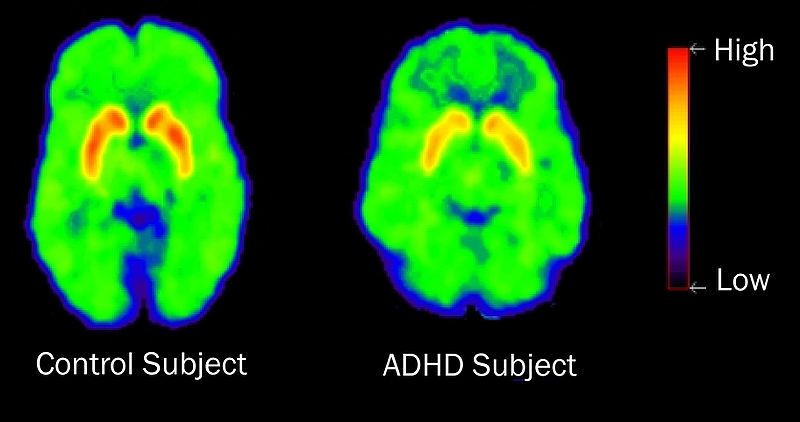 One study found that 54% of a group of boys with ADHD showed improvement in behavior when taking L-carnitine, but more research is needed to confirm any benefit. Because L-carnitine has not been studied for safety in children, talk to your doctor before giving a child L-carnitine. L-carnitine may make symptoms of hypothyroid worse, and may increase the risk of seizures in people who have had seizures before. Recommending herbs for ADHD may help strengthen and tone the body’s systems. As per the University of Maryland Medical Center Resource Center, the use of herbs as dried extracts (capsules, powders, teas), glycerites (glycerine extracts), or tinctures (alcohol extracts). Unless otherwise indicated, make teas with 1 tsp. herb per cup of hot water. Steep covered 5 – 10 minutes for leaf or flowers, and 10 – 20 minutes for roots. Drink 2 – 4 cups per day. Tinctures alone may be used or in combination as noted. Roman chamomile (Chamaemelum nobile). Chamomile may cause an allergic reaction in people sensitive to Ragweed. Chamomile may have estrogen-like effects in the body and therefore should be used with caution in people with hormone-related conditions, such as breast, uterine, or ovarian cancers, or endometriosis. Chamomile can also interact with certain medications. Valerian (Valerian officinalis). Valerian can potentially interact with certain medications. Since valerian can induce drowsiness, it may interact with sedative medications. Lemon balm (Melissa officinalis). Lemon balm may interact with sedative medications. Passionflower (Passiflora incarnata). Passionflower may interact with sedative medications. Gingko (Gingko biloba) — used to improve memory and mental sharpness. Gingko needs to be used with caution in patients with a history of diabetes, seizures, infertility, and bleeding disorders. Gingko can interact with many different medications, including but not limited to, blood-thinning medications. American ginseng (Panax quinquefolium) and gingko — One study suggests that gingko in combination with ginseng may improve symptoms of ADHD. American ginseng should be used with caution in patients with a history of diabetes, hormone-sensitive conditions, insomnia, or schizophrenia. It can interact with several medications, including but not limited to, blood-thinning medications. Relaxation techniques and massage can reduce anxiety and activity levels in children and teens. It was determined in one study that teenage boys with ADHD who received 15 minutes of massage for 10 consecutive school days showed significant improvement in behavior and concentration compared to those who were guided in progressive muscle relaxation for the same duration of time.